How many times does stinkin thinkin come to your mind and tries hard to make it its home? Negative thoughts about yourself or your mate, or your children, or your life, or even the world? 2 Corinthians 2:10 talks about our warfare. Yes we have a war that rages in our thoughts, sometimes we can take it captive and sometimes it may just go on it's own and that, my friend, causes anxiety and fear. "3 For though we walk in the flesh, we do not war according to the flesh. 4 For the weapons of our warfare are not carnal but mighty in God for pulling down strongholds, 5 casting down arguments and every high thing that exalts itself against the knowledge of God, bringing every thought into captivity to the obedience of Christ, 6 and being ready to punish all disobedience when your obedience is fulfilled." We are captured at times by our thoughts, sometimes those negative thoughts are so destructive and so ridden with negativeness that they can destroy our perception of our own world. We repeat those negative things over and over and over again until we really believe they are true. I am not a negative person, I try hard to capture those thoughts of unbelief before they become an unending cycle of disobedience. 2 Corinthians 10 has a lot to say about this, lets look at the rest of this passage. Do you look at things according to the outward appearance? If anyone is convinced in himself that he is Christ’s, let him again consider this in himself, that just as he is Christ’s, even so we are Christ’s. [a] 8 For even if I should boast somewhat more about our authority, which the Lord gave us[b] for edification and not for your destruction, I shall not be ashamed— 9 lest I seem to terrify you by letters. 10 “For his letters,” they say, “are weighty and powerful, but his bodily presence is weak, and his speech contemptible.” 11 Let such a person consider this, that what we are in word by letters when we are absent, such we will also be in deed when we are present. So, what thoughts do you have that try to run rampant in your mind? Dear Lord, I am still struggling with anxiety. I worry often about everything and anything, so much which is not even in my control. Please help me! I pray that your peace will calm my heart and my mind. Calm my mind with your love, show me all that you have for me at this time. Lord, captivate me, show me your love. Please do not let anxiety hold me captive. I pray against anxiety, worry, and fear. You are my King and I will serve you! 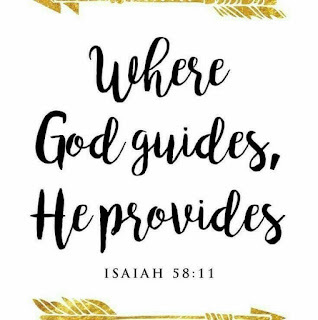 I trust you Lord. I feel burdened, as if so much is coming against me from all different directions. Thank you for being my refuge. Thank you for reminding me that you are my source of strength. I pray for today. I pray for my husband and I pray for me. May you go before us, leading us as you desire I need you right now. I bind the devil off my thoughts, off my mind, off my heart, off every single cell of me. I bind you devil by the Blood of Jesus, by every stripe of the lashings He took for me. Lord, forgive me for allowing these crazy thoughts that try to take me captive. I purpose and choose to forgive myself for every thought that enters and I speak forth your grace and your mercy, your love. I cast all anxiety and worry to hell where it belongs! You have forgiven me and I have forgiven myself. 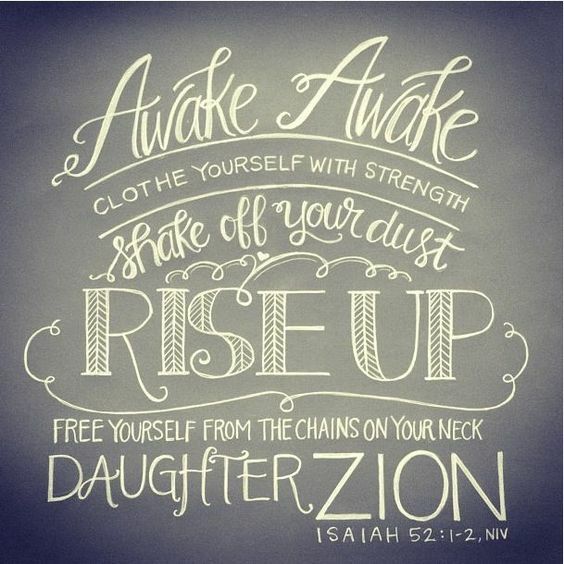 In Jesus's Mighty Name Amen. The thoughts of the righteous are right, But the counsels of the wicked are deceitful. "SHAKE THE DUST OFF YOUR FEET Shake the dust off your feet and get ready to run. Take every thought captive, and no matter how your body feels; no matter how your circumstances look, don’t let go of My word. STAND. Stand firm on My word, call those things that be not as though they were and continue to press your way. Claim your breakthrough as you press your way towards the vision set before you." taken from pinterest. 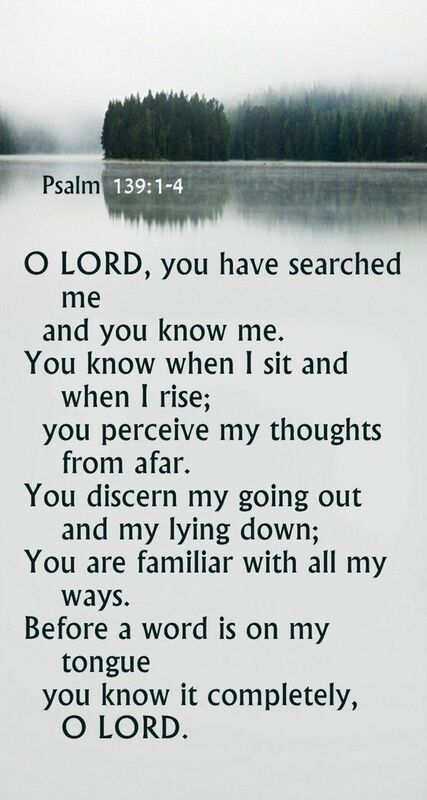 I love this Psalm 139, it's a great prayer using God's Word to get you through. So when you speak those terrible, non-captive thoughts, remember these words, Before a word is on my tongue, you know it completely Lord. So, do you think God likes knowing that the person He created in His image, worries, thinks negative about themselves, has fear or great fear, is the person He created you to be? I struggle with one thought that continues to plague me, but I have to remember this as well. The Lord created me in His Image, ME! Now, when I think about this, how it amazes me to know that He Loves the person He created. He created YOU too! 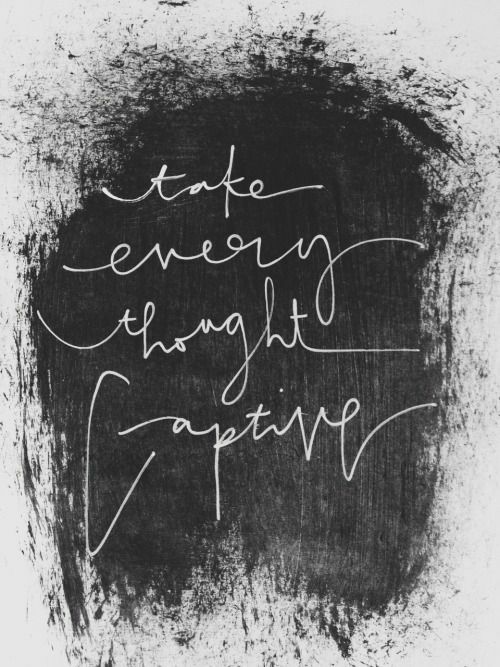 Take those negative thoughts captive! You are more than what you believe! You are God's creation! You can get through and rid of your anxiety, it isn't always medicine that will take it away, that can be a mask but deep within, there needs to be forgiveness. Forgiveness of your hurts, others who have hurt or attacked you, others who have trespassed against you. You have to let it go and let God take it for you. When you have pain in a memory, it has not been forgiven. If you say "I will never forget", you have not truly forgiven either. Pain in the memory says it's still important to let go and forgive. 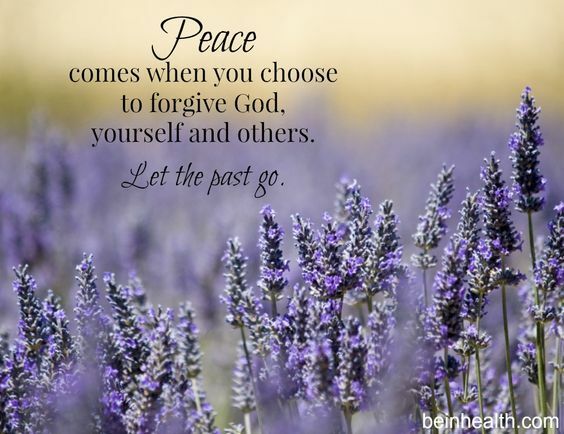 Even if you were not the offender, forgiveness is for you and not for them. I am not saying medicine is bad, but sometimes the root is deeper than the medicine can fix. Read on about a Doctor who talks about forgiveness and it's effect. I had bitterness, but I didn't know it until the Holy Spirit showed me. Then it broke whatever bits of depression I had which seemed to rear it's ugly head at inopportune times! So, I have worked on taking this off my list of ailments! I have not had an episode in months. I claim that this is Holy Ground and the devil can't mess with Holy Ground! I don't have fear and anxiety ever, and bitterness well that has been forgiven. Trauma, yeah and depression- not really. This is 5 years later and I no longer have IBS, it's been healed. I believe it's because I have prayed these prayers over it and released the toxins of unforgiveness. I used to have such severe headaches and those are none existent now. I just prayed this prayer again for that nagging thought that comes around. I have forgiven much and He has loved me much. There are memories that I chose to forgive and have forgotten the pain with them. I still have a few to work on but for the most part, gone. The Holy Spirit reminded me of running hard. I looked and there were two girls behind me. Those two girls spent about 3 years tormenting me, chasing me home and if I stopped they beat me up! One day, a knock on the door and it was one of the girls who told my mom that I said she could use my roller skates. I didn't. I was beat up again. It wasn't until we moved out to our new country home that it all ended. I forgave this girl and the other one and forgave myself for holding on to all that yuk. Most people confuse the terms forgiveness and reconciliation, but they are not the same. Forgiveness refers to the cancellation of a debt or an offense. People who experience forgiveness have a sense of peaceful indifference toward a situation or person that formerly triggered an emotional response. Forgiveness requires only one person; you can experience forgiveness without reconciliation, but not vice versa.